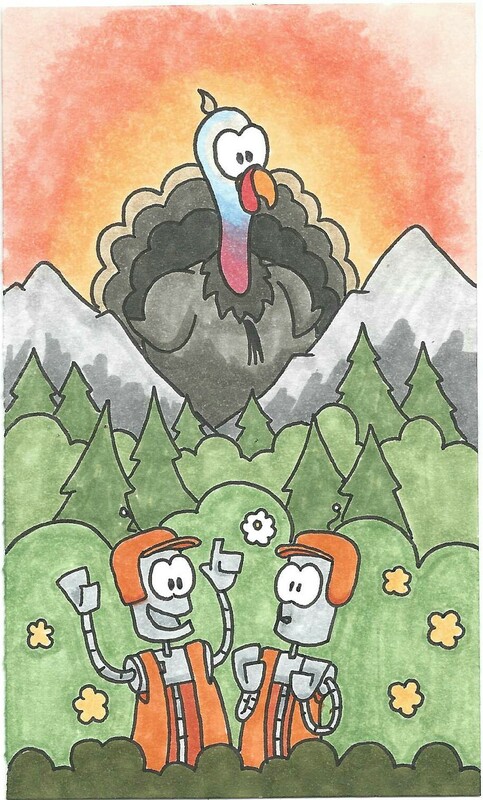 On Piney Crest, the turkeys rest. They safely roost and roam. No hunters there; they wouldn’t dare! It’s Tim the Turkey’s home. When Timmy flaps, the trees collapse. He walks: the mountain quakes. and cover half the sky.